Last time we saw the Italian football team nicknames with the 1987-88 Panini sticker album. 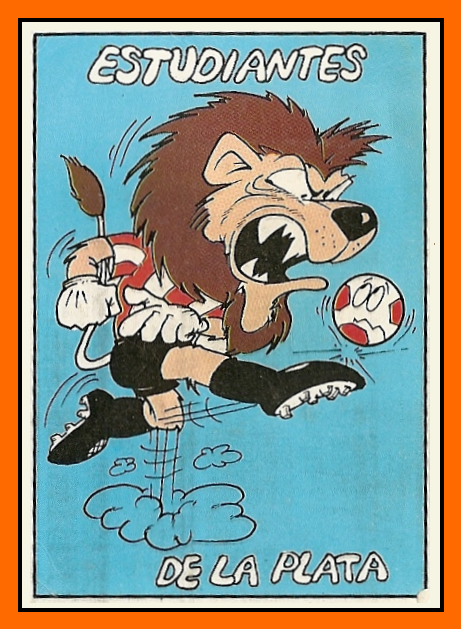 Today we do the same thing with Argentinan football team nicknames illustrate by the 1993 sticker album. The 15 famous team in Argentina and in alphabetical order. La dernière fois on avait vu les surnoms des équipes de football italiennes avec l'album Panini de 1988. Aujourd'hui on recommence mais avec les équipes argentines (Vignettes de l'album argentin de 1993). Les quinze équipes les plus célèbres d'Argentine, présentées par ordre alphabétique. The club was founded in the Villa Crespo neighbourhood of Buenos Aires on 14 August 1904. Originally called the "Martyrs of Chicago", in homage to the eight anarchists imprisoned or hanged after the 1886 Haymarket Riot in Chicago, the club takes defintely ans quickly the name of Asociación Atlética Argentinos Juniors. 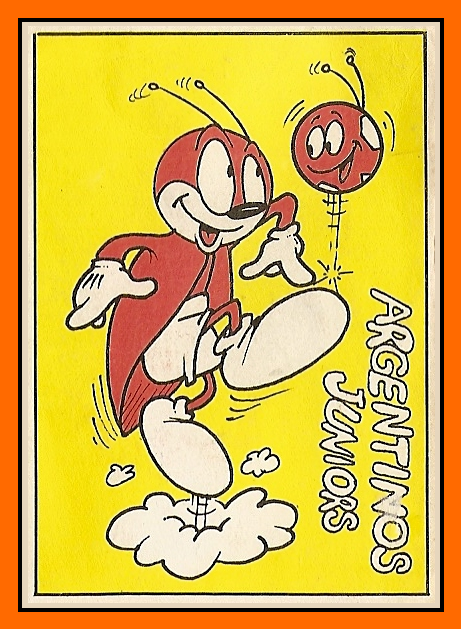 As they played in red, the club is nicknamed simply Bichos Colorados (Red Bugs). Reds bugs are Trombicula. Trombicula is a genus of harvest mites (also known as red bugs, scrub-itch mites, berry bugs or, in their larval stage, as chiggers or chigoe) in the Trombiculidae family. Le club d'Argentinos a été fondé dans le quartier de Villa Crespo à Buenos Aires le 14 août 1904. Tout d'abord appelé les « Martyrs de Chicago » en hommage aux 8 anarchistes emprisonnés à Chicago en 1886, le club va rapidement et définitivement prendre le nom d' Asociación Atlética Argentinos Juniors. Comme l'équipe jouait en rouge, le surnom des Bichos Colorados (Aoutat) va s'imposer tout simplement. L'aoûtat désigne la larve d'une espèce de petit acarien de la famille des Trombiculidés : Trombicula autumnalis, appelé aussi rouget ou vendangeon. Belgrano was founded in 1905 by a group of teenagers, having 14-year-old Arturo Orgaz as its first president. They named it in commemoration of the Argentine historical figure General Manuel Belgrano, and its colours were taken from the flag of Argentina, created by Belgrano himself. The team started playing in the second division of the Córdoba league in 1908, winning that championship and the following two, to reach the first division of the local league. Because their precarious field didn't comply with the first division requirements, Belgrano's fans and players used to borrow post, wire and fences from the nearby houses to erect the required protections. Nevertheless, they would return all the material to their owners, leaving things as they were before the match. This kind of borrowing without consent brought them the nickname of Piratas ("Pirates"). 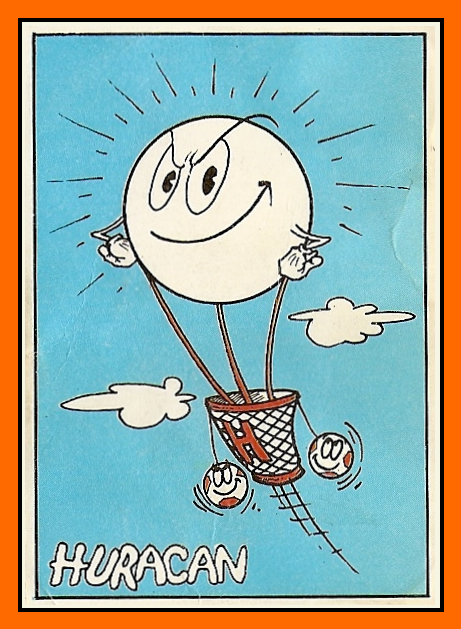 As we will see for other teams in this topic, the cartoon seems like the Hook captain of Walt Disney. Le Belgrano a été fondé en 1905 par une bande d'adolescents. Arturo Orgaz, le premier président du club avait 14 ans. Le choix du nom est un hommage à une figure historique en Argentine, le général Manuel Belgrano et les couleurs sont celles du drapeau national, choisies par Belgrano lui-même. En 1908, l'équipe joue en seconde division du championnat de Cordoba. Après trois succès de rang dans ce championnat, l'équipe accédait à la première division de la province. Mais le club n'avait pas les infrastructures nécessaires, que cela ne tienne ! Les joueurs et les supporters arrachent tout ce qu'il trouve aux abords du stade pour monter les barrières et toutes les protections nécessaires pour jouer en première division. Cet épisode, d'avoir emprunté tous ces éléments sans aucune autorisation, vaudra au club un surnom qui lui colle toujours à la peau, les Piratas ("Pirates"). 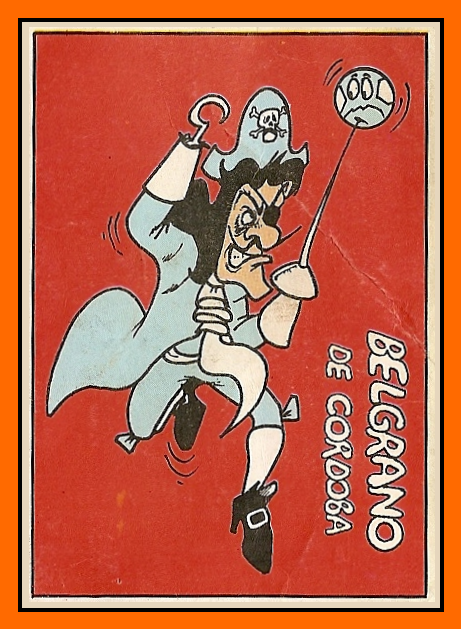 Comme vous remarquerez au fil de ce sujet, les vignettes ne sont pas très à cheval sur les droits d'auteur, ainsi le Pirate du Belgrano ressemble beaucoup au Capitaine Crochet de Disney. The following nickname is not the most famous of Boca Juniors. Boca fans are known as Los Xeneizes (Xeneize means "genovese" in the genovese dialect) after the Genoese immigrants who founded the team and lived in La Boca in the early 20th century. Because. But a other figure exist since the 1930's. The first professionnal championship in Argentina started in 1931 and it was very popular. On the radio every sunday between 12h30 and 13h30 there was a famous radio show "Gran Pension El Campeonato" with fiction characters for each team. This show talked about each matchday with humor and for the Boca Juniors Team they choosed an italian migrant so representative of the Argentina in the 1930's and especially in the Boca neighborhood. This character is Don Pedrin, a pizzaiolo and since this date we can see at La Bombonera some cartoons of this charater or better some fans with the same stache and hat. 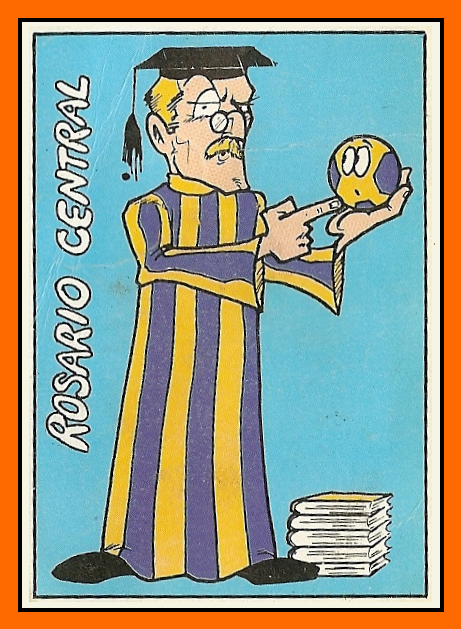 Boca fans loves this character since he's created because is a perfect legacy of the italian origins of the club and also still a good social representation 30 years after. Le surnom qui suit n'est pas le plus connu de Boca Juniors. Tout le monde connaît le surnom des Xeneizes, (qui veut dire génois dans un argot propre à la ville de Gênes). En effet ce sont des migrants de cette ville italienne qui ont fondé le club et qui habitaient le quartier de la Boca au début du 20ème siècle. Mais il existe une autre figure pour désigner le club le plus populaire d'Argentine. Tout commence en 1931, lors de la première saison professionnelle du championnat d'Argentine. Comme le football est très populaire là-bas, on le met à toutes les sauces et une émission radio va faire un véritable carton. L’émission "Gran Pension El Campeonato" est diffusé tous les dimanches entre 12h30 et 13h30. Cette émission traite avec humour de chaque journée de championnat avec des personnages fictifs qui représentent chaque équipe. Pour Boca Juniors, il s'agit d'un migrant italien si représentatif de cette Argentine des années 30 et plus particulièrement du quartier de la Boca. Ce personnage, c'est Don Pedrin, un pizzaiolo. Depuis cette émission on peut voir à la Bombonera des dessins de ce personnage tel perçu par les auditeurs de l'époque et même des fans portant les mêmes moustaches et chapeaux que le pizzaiolo. 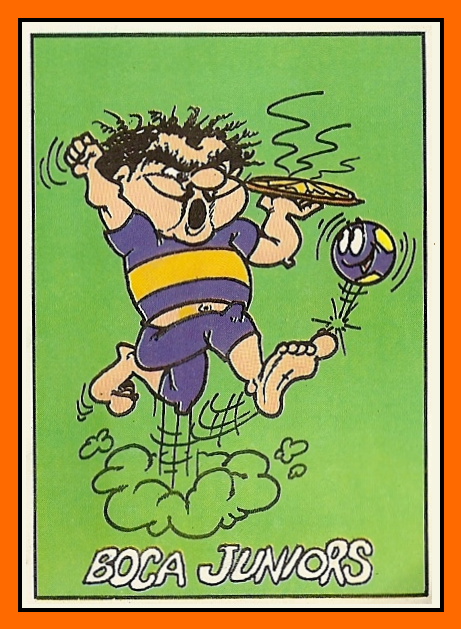 En fait les fans de Boca ont aimé ce personnage dès son apparition car il était à la fois représentatif des origines du club et aussi une parfaite illustration sociale du quartier de la Boca à cette époque là. 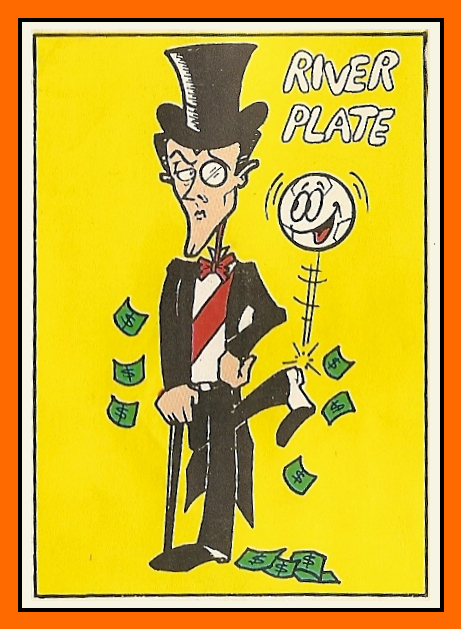 The first nickname of Estudiantes is Los Pincharratas (The Rat Stabbers), The nickname pincharratas (rat stabbers), often shortened to pinchas, comes from the nickname of Felipe Montedónica, who spent much time chasing after rats in the La Plata market in the 1910s and 1920s, and hence was known as "el pincharratas". Pictures exist of Montedónica with some of the players, where his nickname is mentioned. Traditionally, the nickname is also associated with the laboratory work done by the many Medicine students among the club's early members. This nickname extends to the fans. It is common to hear fans say "soy del pincha" ("I am pincha"). 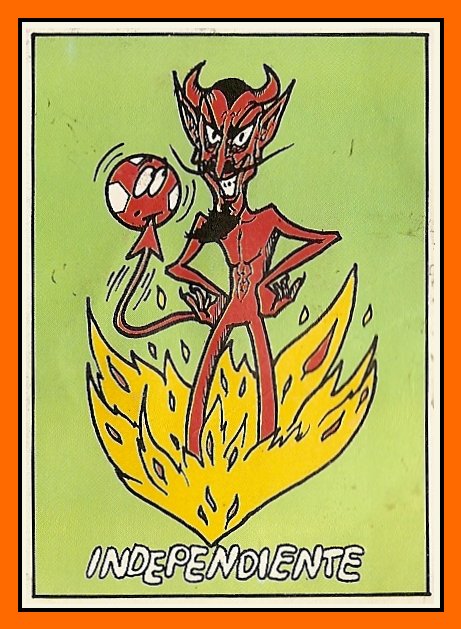 But since the 60's an other nickname appeared El Léon (the lion). Simply in opposite of big rivals Gimnasia y Esgrima de la Plata who nicknamed El Lobo (The wolf) as we will see later. Le premier surnom d'Estudiantes est Los Pincharratas (Une déformation en espagnol de Rats de laboratoires). Estudiantes est à l'origine le club des étudiants de médecine et le surnom était associé à leur travail de dissection sur les rats. Mais dans les années 60 un autre surnom est arrivé en opposition au grand rival de la ville, Gimnasia y Esgrima qui a pour symbole un loup. Le club et les fans d'Estudiantes vont alors adopter le Lion comme nouveau symbole du club. Always located in Caballito, the club was founded as Club Atlético del Ferrocarril Oeste de Buenos Aires on 28 July 1904, by a hundred employees of the Buenos Aires Western Railway (then Ferrocarril Domingo Faustino Sarmiento). The club was approved and supported by railway managers, so Ferro soon incorporated lands to build its headquarters and sports installations. In 1907, Ferro joined the amateur second division, and in 1912 the team won the promotion to the first division. Alors pour celui-là, il n'y a rien de plus simple. 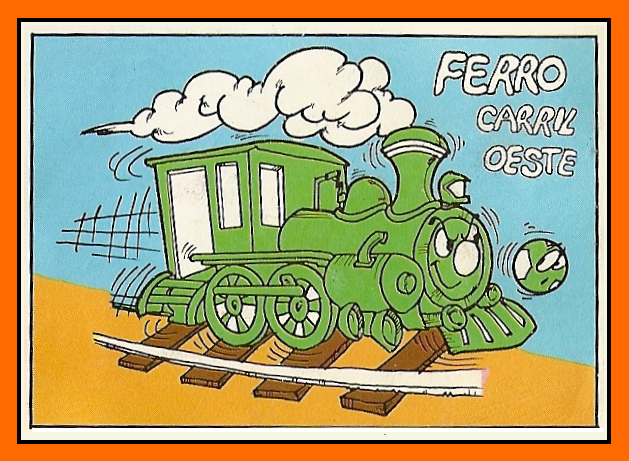 Le Club Atlético del Ferrocarril Oeste de Buenos Aires a été fondé en 1904 et c'est le club de la compagnie de chemins de fer de l'ouest de Buenos Aires. La province de Buenos Aires est si importante que plusieurs compagnies privées desservaient et desservent toujours la capitale Argentine. Celle-ci avait crée son propre club de sport et son équipe de football est rapidement devenue une des meilleures formations du pays. La Plata Gymnastics and Fencing Club, also known simply as Gimnasia or the acronym GELP, is a professional Argentine sports club based in the city of La Plata, Buenos Aires Province. Founded in 1887 as Club de Gimnasia y Esgrima, the club is mostly known for its football team, which currently plays in the Primera División, the first division of the Argentine football league system. The "Club de Gimnasia y Esgrima La Plata" was founded on 3 June 1887 as a civil association, and thus is the oldest surviving football club still participating in the Argentine Football League. The club also claims to be the oldest football club in the Americas, despite other football clubs, such as the Lima Cricket and Football Club, have older foundation dates. Its foundation came barely five years after the creation of the City of La Plata in 1882. 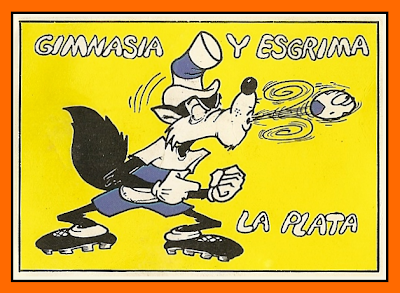 Since the 1960s, Gimnasia has been known as El Lobo (short for "El Lobo del Bosque", Spanish for "the wolf in the Forest") after the story of "Red Riding Hood", since its historical football field is located in the middle of La Plata's main park, known as El Bosque ("the forest"). By the way this cartoon is a true copy of the Walt Disney's wolf. Le club de Gymnastique et d'Escrime de la Plata est un club omnisports d'Argentine fondé en 1887. 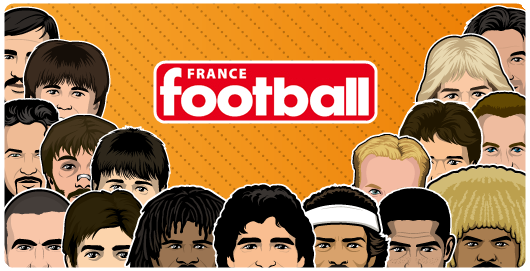 Cette institution se targue, en outre d'être le club de football le plus ancien d'Argentine, d'être également le plus ancien de tout le continent. L'équipe est surnommée El Lobo (le loup). En fait le vrai surnom complet est "El Lobo del Bosque" (le loup des bois) d'après l'histoire du petit chaperon rouge. Un surnom qui tire son origine du fait que le terrain du football du club est situé en plein milieu du plus grand parc de la ville, au milieu des arbres et connu sous le nom d'El Bosque ("la forêt"). Au fait, au passage, le dessinateur de l'album argentin là, ne s'est pas cassé la tête et a copié le loup de Walt Disney. Huracán was founded on 1 November 1908 in the Nueva Pompeya neighbourhood of Buenos Aires. The club's name and nickname (Globo, literally "Balloon") comes from the Huracán balloon flown by Jorge Newbery in 1909. Jorge "George" Newbery was an Argentine aviator. On 25 December 1907, Jorge Newbery and Aarón Anchorena crossed the Río de la Plata in the balloon El Pampero before landing in Conchillas, Uruguay. Although there had been a few previous balloon flights in Argentina, the crossing of the Río de la Plata became a popular event. A few days later, on 13 January 1908, the Aero Club Argentino was created, with Aarón Anchorena as president and Jorge Newbery as second vice-president. The ACA was located on the estate of Los Ombués, in Barrancas de Belgrano, Buenos Aires. On 17 October his brother Eduardo (also an ACA member), together with Seargent Romero, went missing in El Pampero and their bodies were never found. These were the first two casualties in the history of flight in Argentina. Despite the tragedy and public opinion starting to consider balloon-flight to be excessively dangerous, Newbery prepared a new balloon, “El Patriota”, and revitalised aerostatics with the help of socialist representative Alfredo Palacios. Newbery flew an aerostat round-trip for the first time on 24 January 1909, making his second round-trip flight on 2 April. On 27 April, he was elected president of the same Aero Club Argentino which he had previously served as second vice-president. Newbery accepted, with the hope of turning around the club's dire financial situation, and continued as president until his death in 1914. He soon acquired another balloon, “el Huracán”, with which on 28 December 1909 he broke the South American record for duration and distance by travelling 550 km in 13 hours, linking Argentina, Uruguay and Brazil, and reaching fourth place worldwide in terms of flight time and sixth place in distance. This balloon gave its name to one of the most popular football clubs in Buenos Aires, now one of the most popular in Argentina: the Club Atlético Huracán, founded 1 November 1908 and nicknamed “globo” (balloon). Huracán a été fondé en 1908 à Buenos Aires. Le club est surnommé "El Globo" (le ballon) en hommage au ballon dirigeable Huracán de Jorge Newbery en 1909. Jorge Newbery est un fameux aviateur et ingénieur argentin. Il est le premier homme a traversé le Rio de la Plata en ballon avec Aarón Anchorena. Les deux hommes fondent le plus célèbre club d'aviation par la suite et qui sera nourrit de drames et d'exploits. En 1909, il acquière pour son club un nouveau ballon “el Huracán” avec lequel il va battre le record de vol à l'époque en temps et en distance. Ce ballon devient la fierté de tout un pays et ce ballon donnera le nom définitif au club d'Huracán. Le surnom des diables rouges d'Independiente date de 1926. Ce surnom est né de la plume d'un journaliste qui décrit les joueurs d'Independiente comme possédé par le diable tant ils maniaient le ballon avec une dextérité sans pareil et réalisaient des gestes d'une grande technicité. Le surnom a plu tout de suite et est resté le même depuis ce jour. C'est la même chose pour le club formateur de David Trézeguet. Le surnom des calamars vient de la plume d'un journaliste qui décrit un jour que l'équipe se déplaçait comme une pieuvre dans son encre du fait que Platense joue en blanc et que son terrain, très gras se transforme rapidement en une marre de boue dès qu'il pleut. La formule allait marqué les supporters et le surnom est resté, quoique peu glorieux. Racing Club is an Argentine professional sports club based in Avellaneda, a suburb of Greater Buenos Aires. 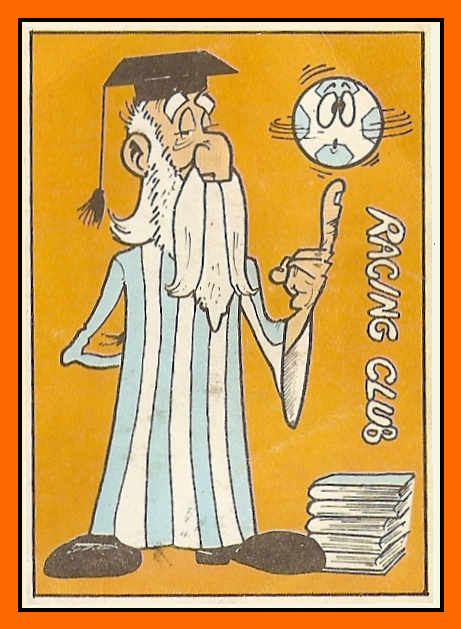 Founded in 1903, Racing has been historically considered one of the "big five" clubs of Argentine football. Racing currently plays in the Primera División, the top division of the Argentine league system. Racing has won the Primera División 16 times (with a record 7 consecutive championships during the amateur era). Due to those achievements the team was nicknamed "La Academia" ("The Academy of Football") which still identifies the club and its supporters. During its first 22 years of existence, Racing won 9 Primera División championships (seven of them consecutively, which is still a record in Argentine football). Due to those extraordinary campaigns and its style of playing, the squad was nicknamed "The Academy of Argentine football", which has been adopted by its supporters as a mark of identity, still used nowadays. With the establishment of the professionalism in 1931, River Plate acquired right wing Carlos Peucelle in 1931 for $10,000 and Bernabé Ferreyra for $35,000 (huge amounts of money in those years) in 1932. Because of that, River was nicknamed "Los Millonarios" ("The Millionaries"), which has remained since. Lors de la première saison professionnelle en Argentine en 1931, River Plate va marquer les esprits en comprenant tout de suite l'intérêt d'acheter les meilleurs joueurs du pays. Le club s'offre Carlos Peucelle en 1931 pour $10,000 et Bernabé Ferreyra pour $35,000. River rend l'Argentine folle devant ces sommes astronomiques pour l 'époque. Le club gagne tout de suite son surnom et qui va lui rester jusqu'à nos jours : "Los Millonarios" ("Les millionnaires"). Central is also known as La Academia Rosarina (The Academy of Rosario like the Argentine team Racing Club) due to the amount of players that become professional from the youth teams, and to the amount of consecutive Rosario's League titles that the club won in the amateur era, in comparison to Racing Club (called La Academia), that won a lot of championships in the Buenos Aires´ League at the same time too. Comme le Racing Club, Rosario Central est appelé La Academia Rosarina (l'académie de Rosario), car comme le club d'Avallenada, Rosario est réputé pour avoir sorti de nombreux joueur professionnels de son centre de formation et comme le Racing, il a gagné beaucoup de titres durant la période amateur du football argentin (1891-1931). Los Santos (The Saints), after the club's name, literally "Saint Lawrence". The roots of the institution can be found in a team formed by a group of kids that used to play football in the corner of México and Treinta y Tres Orientales streets of Buenos Aires. Due to the increasing traffic in the city, playing football at the streets became a risky activity for the boys. Lorenzo Massa, the catholic priest of the neighborhood's church, saw how a tram almost knocked down one of the boys while they were playing in the streets. As a way to prevent more accidents, he offered the boys to play in the church's backyard, under the condition they had to go to mass on Sundays. On 1 April 1908, an assemble was held in the Almagro district of Buenos Aires with the purpose of establishing a club. During the meeting, several names were proposed. The first option was "Los Forzozos de Almagro" (the name used by the boys to name their street football squad) which did not sound well to Father Massa (who was present at the assemble). The other proposal was to name "San Lorenzo" to the club, as an homage to Massa, but he refused to be honored that way. Nevertheless, the name was finally accepted by the priest, explaining that the name would not honor himself but both, Lawrence of Rome ("San Lorenzo" in Spanish) and the Battle of San Lorenzo, one of the most significative combats for the Independence of Argentina. Other founder member, Federico Monti, suggested to add the name of the neighbourhood, Almagro where most of the members lived in, which was accepted by the assemble. This not a hazard if the pope Francis I is a very loyal fan of San Lorenzo. Le surnom du club est Los Santos (The Saints) d'après le nom du club, Saint Laurent en français. L'histoire de l'appellation de San Lorenzo mérite d'être connu. Tout commence avec une bande de gamin qui joue dans les rues de Buenos Aires. Avec le trafic, pratiquer le football ainsi est un sport très dangereux. Le prêtre Lorenzo Massa en sera le premier témoin quand il assiste à un accident où un gamin qui jouait au foot est renversé par un tramway. Le prêtre décide alors, que ces gamins peuvent venir jouer dans le terrain situé derrière son église, situé dans le quartier d'Almagro. Chaque dimanche les gamins sont de plus en plus nombreux à venir. Du coup le premier avril 1908 une assemblé a lieu pour créer un club de football. Durant cette assemblée plusieurs noms sont proposés, comme "Los Forzozos de Almagro" mais ce nom ne plaît pas au père Lorenzo, présent. 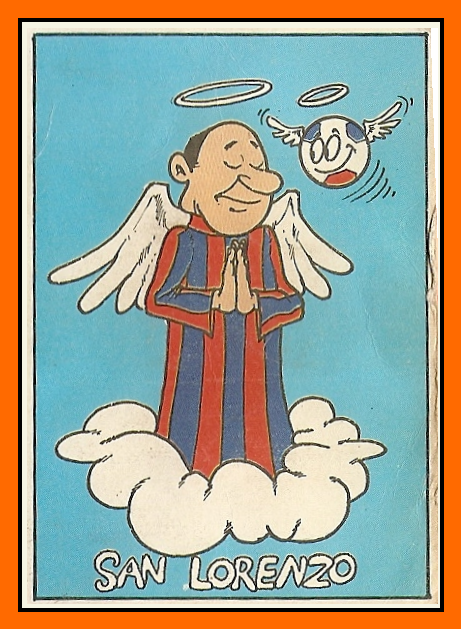 L'autre proposition est simplement « San Lorenzo » en hommage au père Massa. Mais le prêtre refuse, gêné d'un tel honneur. Finalement il acceptera en expliquant officiellement que le club s'appelle ainsi en hommage à Saint-Laurent de Rome (San Lorenzo en espagnol) et à la bataille de San Lorenzo, l'une des plus importantes batailles pour l'indépendance de l'Argentine. Un des autres membres fondateur, Federico Monti, propose d'ajouter le nom du quartier Alamgro d'où venait la plupart des gamins qui venaient jouer derrière l'église du père Lorenzo Massa. Donc comme vous le voyez, ce n'est pas un hasard si aujourd'hui le pape François 1er, est un fervent supporter de San Lorenzo. 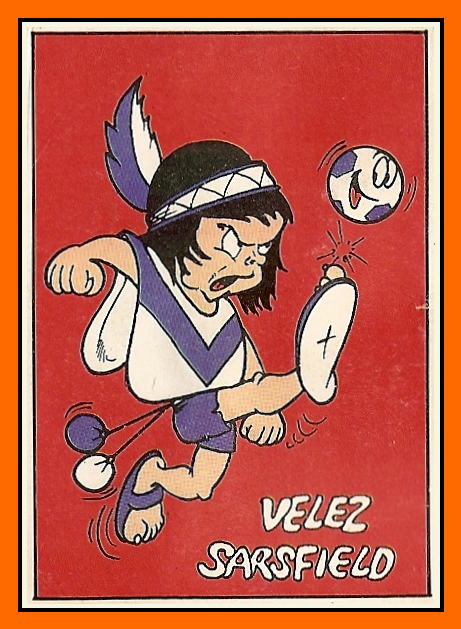 Si le stade de Velez est appelé el Fortín (en français : "le petit fort", en raison de la difficulté des adversaires à s'y imposer) c'est un personnage de bande dessinée qui est devenu le symbole du club. Ce personnage c'est Patoruzú. 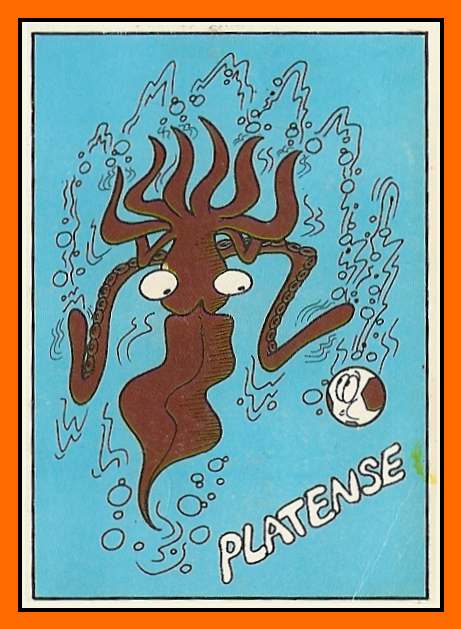 Le plus célèbre héros de la bande-dessinée argentine. Patoruzú est un indigène d'une tribu fictive de Patagonie, doté de super-pouvoirs et qui défend toujours les plus faibles. Personne ne sait quand, comment et pourquoi Patoruzú est devenu le symbole des supporters de Velez. La meilleure explication tiendrait du fait que le stade Velez est un petit fort et que Patoruzú défend les indigènes face aux soldats, les fans de Velez ont commencé à dessiner ce personnage de BD sur les drapeaux pour faire face aux grandes équipe d'Argentine qui venait les défier chez eux. Newell's a un surnom très connu : La lèpre. Le club est fondé par Claudio Newell, a qui il donnera le nom de son père en hommage à son œuvre pour le sport. Le surnom de la lèpre arrivera des années plus tard, quand le club répondra favorablement à l'invitation d'un hôpital pour un match de charité. L'hôpital en effet souhaite organiser un match de gala pour lever des fonds pour son département de lépreux. Le surnom va arriver ainsi et va coller à la peau (sans mauvais jeux de mots) au club de Rosario. En revanche je n'ai aucune idée pourquoi, le dessinateur de l'album a choisi cet empereur romain pour illustrer Newell's ? Si vous vous savez, n'hésitez pas à partager l'info les amis. Pour Newell's il y a deux possibilités selon vos commentaires : Tout d'abord cela pourrait provenir du surnom du stade, surnommé le "Colossus" (Colosse) en raison de sa grande taille. J'ai lu plusieurs fois ce comentaire mais j'avoue que je vois pas bien le rapport avec l'empereur romain. La deuxième explication me parait meilleur. En fait le dessin pourrait représenter l'empereur Constantin 1er, qui fût soigné de la lèpre par le pape Sylvestre 1er en 312 après J.C (forcément après). Du coup la légende voudrait que ce soit après cet évènement que Constantin se serait convertit au christianisme car cette regligion acceptait les lépreux. 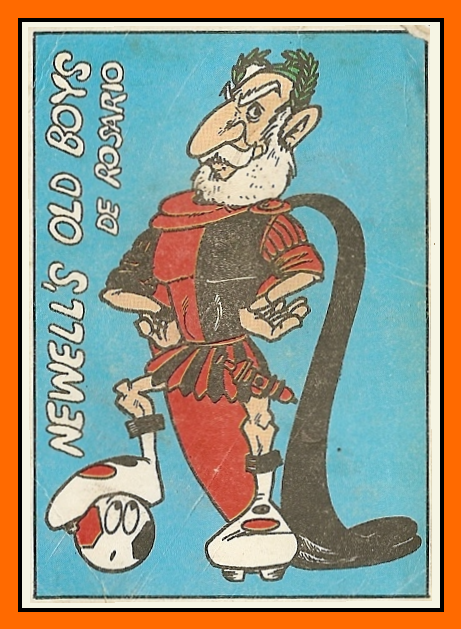 Pour l'instant c'est la meilleure théorie pour expliquer cet empereur romain comme symbole de Newell's. Merci à Fabrice Voisard pour son explication sur Twitter.